Moorcroft, Wyoming emerged out of the black just as my desperate quest to find a place to sleep birthed the recollection of Peter Fonda’s movie Race With The Devil. My adamancy to never own an RV is derived solely from the impact this movie made on my pre-teen brain. I’m still searching for a place to safely catch some ZZZ’s because according to the map, Devils Tower is “nearby”. If you should decide to see Devils Tower, take a peek at the map of Wyoming, realize there’s only 400,000 people in the entirety of the square vastness and don’t make the same assumption about lodging I did. And don’t worry about the movie and the whole Devils Tower thing; it was filmed in South Texas. Beautiful until you think about those poor schmucks in the RV. The Cozy Motel’s sign was half lit but the gravel parking area was packed with good ole boy pickup trucks – a sight that put me at ease. At least if some creepy-motel-located-in-the-middle-of-nowhere-Jason-scene occurred, my screams would be heard. The boy’s face had been marble the whole while but I was certain some reaction to the woman’s statement had caused something to twitch. Did his upper lip move or was it some shift in those shifty little eyes? I checked up just as I opened my mouth to ask why. Too late. Again my imagination was off like horses out the gate of the Kentucky Derby. The Cozy Motel at sunrise the next day. See the "No" vacancy? I had indeed taken the last room the night before. I pulled the truck over to number 11 and began unloading. I’d just walked through the door and dropped the first of my loads of crap that I faithfully hauled out of the truck every night, when a train went by. Thunder, whistle, thunder, whistle, shhchhshhchh on the tracks. I laughed out loud and ran back outside to see it swishing by on the track parallel to the motel, close enough to touch. Okay, well, not close enough to touch, but close enough. I hadn’t crossed the track since it ran parallel – stay with me here, and since it was pitch black, I hadn’t seen it. The resting railroaders didn’t like ole number 11 because it was the closest room to the track! By the time the 3rd train came by the unloading was complete. I called my husband howling laughter at the 4th train passing, holding the phone up so he could hear the whistle. He predicted a total of 6 trains for the evening and I went to shower. I counted 2 while in the shower and over the course of the rest of the restless night, 10 of them jingled my weird and wacky dreams. 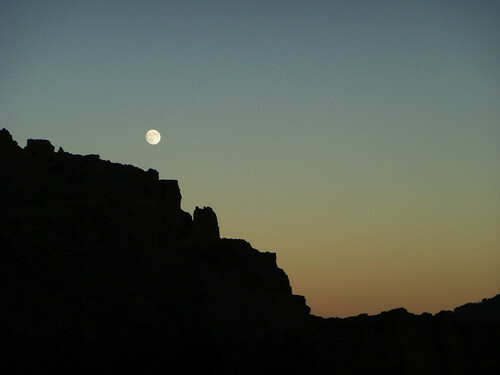 I was up and out of there just before sunrise and had a fantastic day despite the lingering lack-of-sleep dreams. Devils Tower was stunning in the morning light. 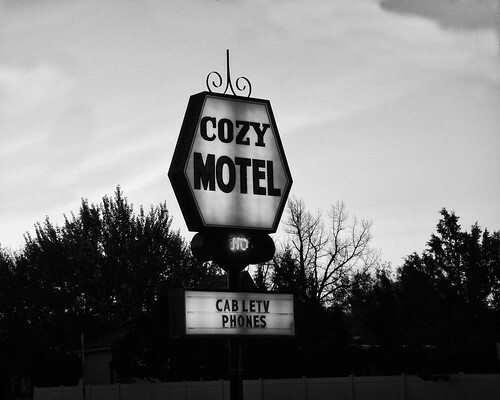 Before you read on, I must add the Cozy Motel is one of the reasons I love seeing what lies in-between the sterile and stamped out larger cities and towns on the American map. Motels are still worthy considerations for lodging if you want an experience. Then again, I have nothing against the knowns the chains offer. I stay at both. 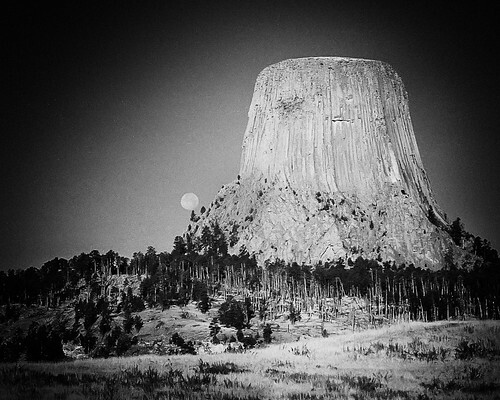 Road Trip Locator: Devils Tower is in Northeastern Wyoming between Gillette and Sundance, approximately 35 miles North of Interstate 90 (from Moorcroft which is where you’ll exit and turn North of I-90). Trains…Kentucy Derby….Devil’s Tower…this is simply a great read. I can feel it all, even the cold. Don’t forget the blanket on your next trip. Great post. I’m a ‘do-it-for-the-story’ kind of guy myself. I love this story !! Too often people write about their travel experiences only focusing on their ultimate destination. I have always felt that the best part of travel are all the “in between” moments that we could never expect. Great job as always T-Doodle ! !